*CLEAN CARFAX ONE OWNER*, CLEAN CARFAX, ONE OWNER. 2017 Jeep Compass Latitude True Blue FWD 2.0L I4 DOHC 16V Dual VVT CVT Recent Arrival! Odometer is 10976 miles below market average! 22/26 City/Highway MPG Awards: * 2017 KBB.com 10 Most Awarded Brands We are your Cincinnati/Dayton Dealer... We Can, We Can, We Can!! CUMMINS DIESEL. 2010 Dodge Ram 3500 ST Bright White RWD Cummins 6.7L I6 Turbodiesel 6-Speed Automatic **** This Truck Can Pull Everything You Need. Come Put It To The Test **** At Lebanon Chrysler Dodge Jeep and Ram We Can, We can, We Can! Recent Arrival! We are your Cincinnati/Dayton Dealer... We Can, We Can, We Can!! Certified. *CLEAN CARFAX ONE OWNER*, CLEAN CARFAX, ONE OWNER. 2016 Jeep Cherokee Limited Deep Cherry Red Crystal 4WD 2.4L 4-Cylinder SMPI SOHC 9-Speed 948TE Automatic Why wait? We have this. Recent Arrival! FCA US Certified Pre-Owned Details: * Roadside Assistance * Vehicle History * Transferable Warranty * 125 Point Inspection * Warranty Deductible: $100 * Powertrain Limited Warranty: 84 Month/100,000 Mile (whichever comes first) from original in-service date * Limited Warranty: 3 Month/3,000 Mile (whichever comes first) after new car warranty expires or from certified purchase date * Includes First Day Rental, Car Rental Allowance, and Trip Interruption Benefits We are your Cincinnati/Dayton Dealer... We Can, We Can, We Can!! ***3 ROWS OF SEATING***, CLEAN CARFAX. 2018 Chrysler Pacifica L Bright White Clearcoat FWD 3.6L V6 24V VVT 9-Speed Automatic At Lebanon Chrysler Dodge Jeep and Ram We Can, We can, We Can! Recent Arrival! Odometer is 4010 miles below market average! 18/28 City/Highway MPG We are your Cincinnati/Dayton Dealer... We Can, We Can, We Can!! ***BACK -UP CAMERA***, *CLEAN CARFAX ONE OWNER*, 4WD, CLEAN CARFAX, CUMMINS DIESEL, ONE OWNER. 2017 Ram 2500 Tradesman Bright White Clearcoat 4WD Cummins 6.7L I6 Turbodiesel 6-Speed Automatic **** NEED TO PULL SOMETHING? WHY NOT USE THIS TRUCK? 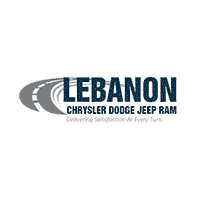 COME ON DOWN TO LEBANON FOR THE BEST DEAL **** At Lebanon Chrysler Dodge Jeep and Ram We Can, We can, We Can! Recent Arrival! Odometer is 14971 miles below market average! We are your Cincinnati/Dayton Dealer... We Can, We Can, We Can!! *CLEAN CARFAX ONE OWNER*, AWD, CLEAN CARFAX, ONE OWNER. 2018 Subaru Outback Premium 2.5i Crystal Black Silica AWD 2.5L 4-Cylinder DOHC 16V CVT Lineartronic **** Priced to sell. Don't miss this Deal **** At Lebanon Chrysler Dodge Jeep and Ram We Can, We can, We Can! Odometer is 2772 miles below market average! 25/32 City/Highway MPG We are your Cincinnati/Dayton Dealer... We Can, We Can, We Can! !